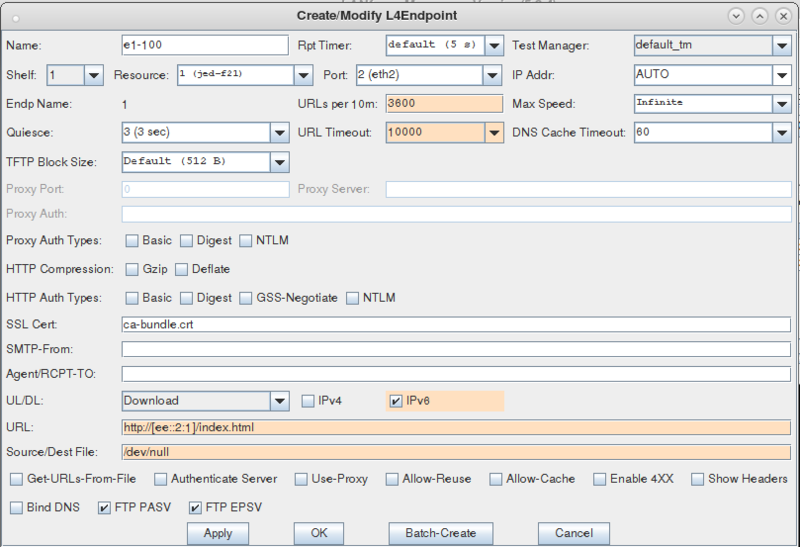 Goal: Configure and activate a http server bound to a specific port in LANforge. This is useful if you want to provide an application layer target to interact with. This cookbook assumes you can access a shell prompt on the LANforge computer: the command-line instructions can be done at the system console, in a terminal over a remote desktop connection, or over ssh. 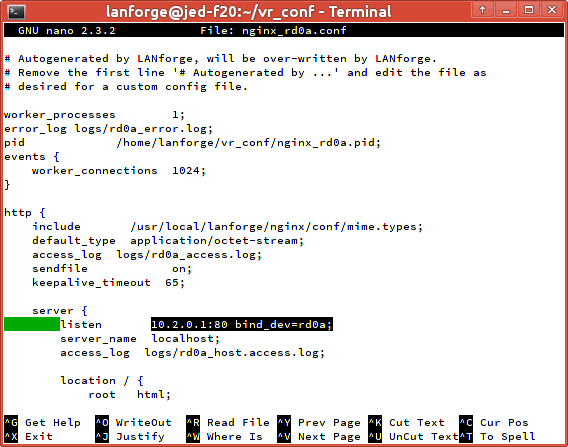 The nginx service is only available on the Linux version of LANforge server. 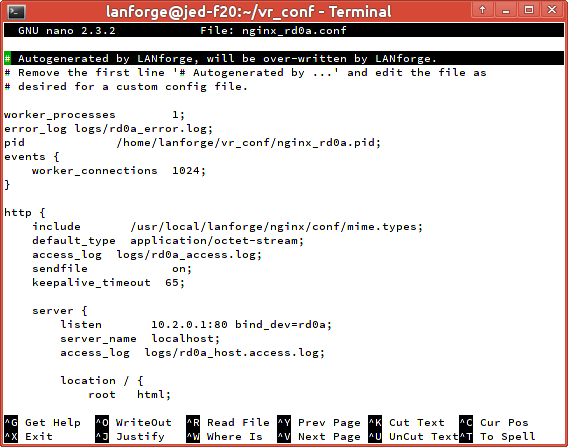 Note: There are two web servers installed in a LANforge computer. The default web server is a stock version of Apache HTTPD that responds to all port 80 requests on all interfaces. For testing we recommend running Candela Technologies' version of Nginx on specific ports as covered in this cookbook. In contrast, Apache cannot bind to a network-device therefore we do not suggest running it. 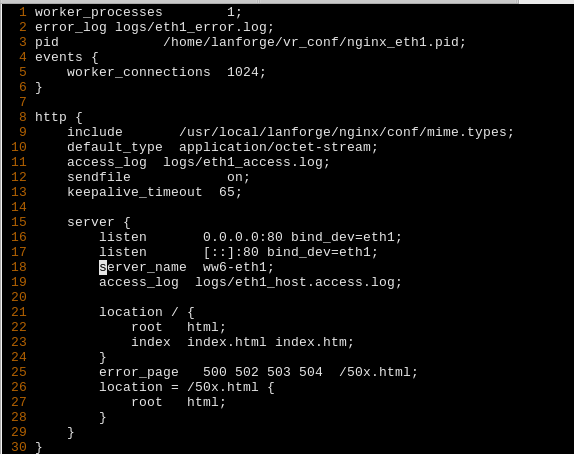 Nginx can also be configured to listen to IPv6 traffic. Jump to the end of the cookbook for that technique. Stop and disable LANforge system Apache instance. ...listen to a different port (like 81). Edit /etc/httpd/conf/httpd.conf and change the Listen option. 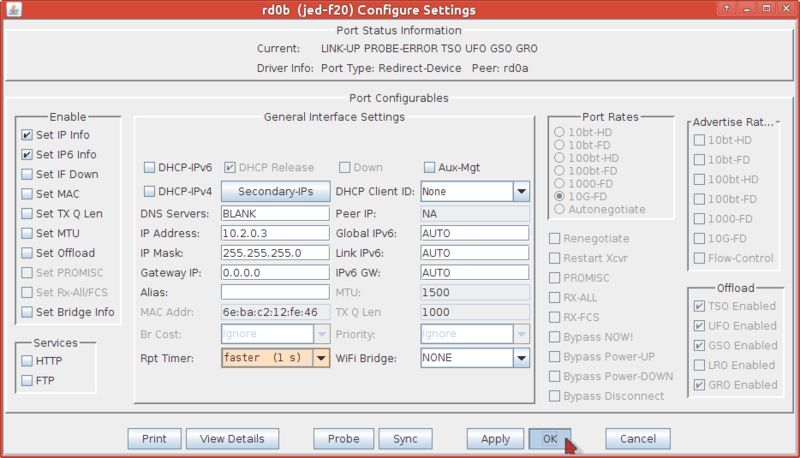 and rd0b for #2 Redir name. Click Apply and then Cancel to close the window. and the report time to faster (1 s). 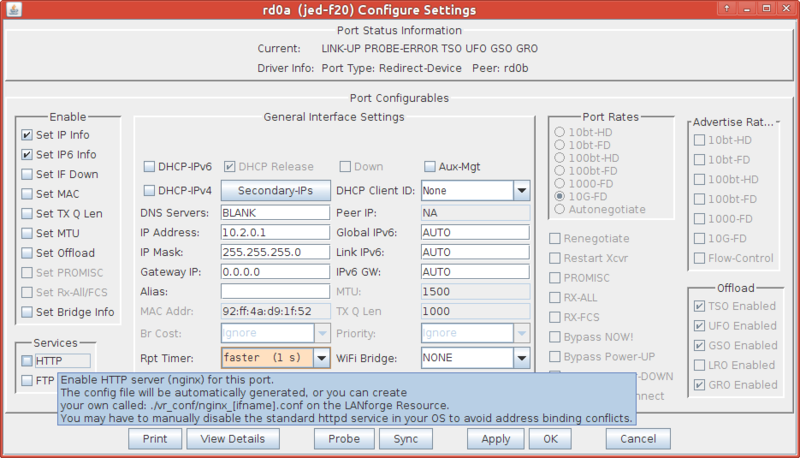 Enable HTTP service on your upstream port using the following steps. 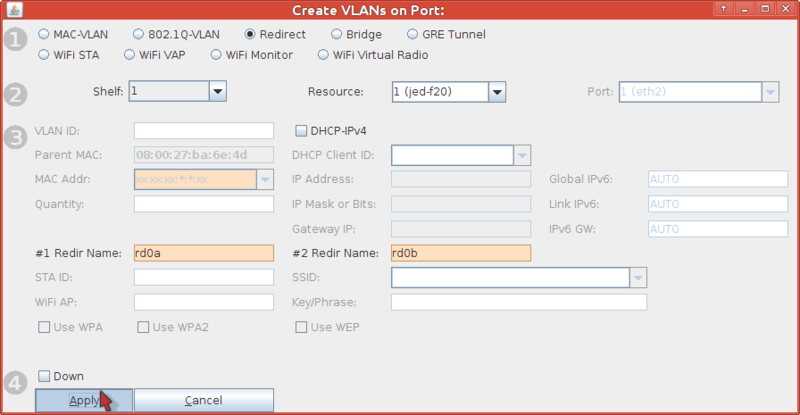 In the lower left column of the window, enable HTTP option. 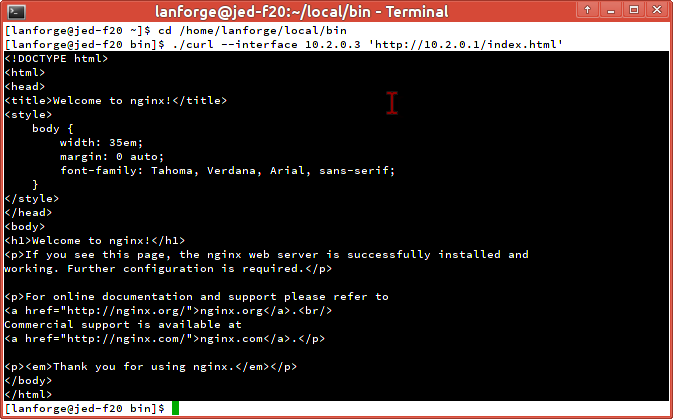 (Optional) Modify the nginx config file for port rd0a. 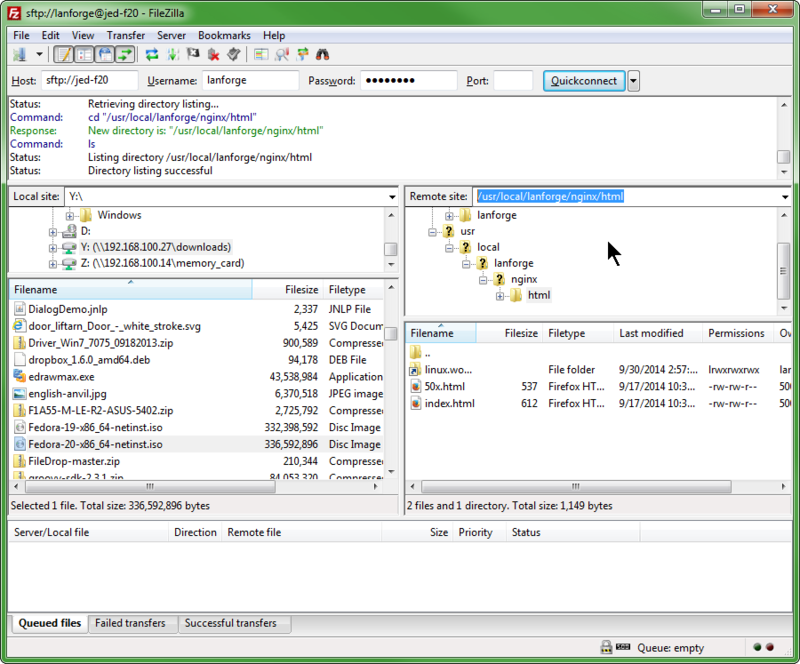 This example assumes you are logged into the LANforge system console, or have connected to the desktop using a remote-desktop client like vncviewer. If you are familiar with editing from the command-line, you will likely know how to do this via ssh. 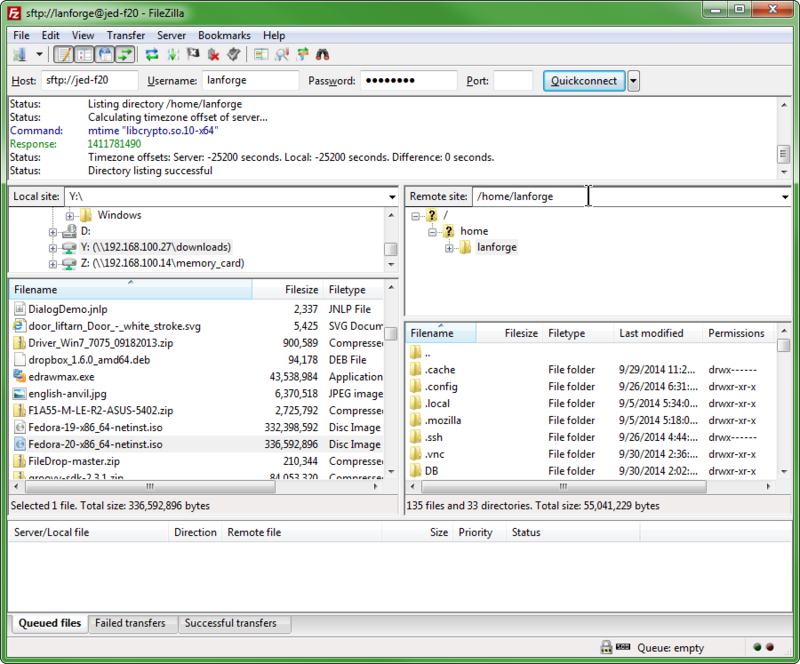 Edit the file nginx_rd0a.conf. 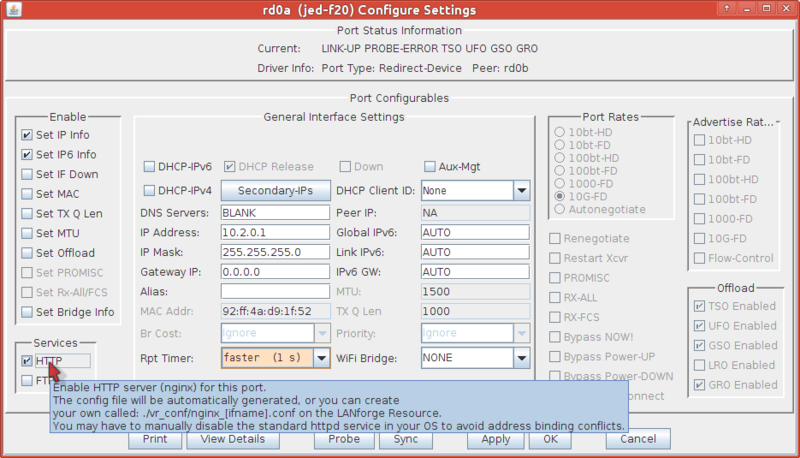 If you do not see the file, you might have connected to the wrong LANforge resource, or you might not have clicked OK/Apply when enabling the Configure Settings window for port rd0a. If you want to change settings, delete the first line of the config file as part of your changes. 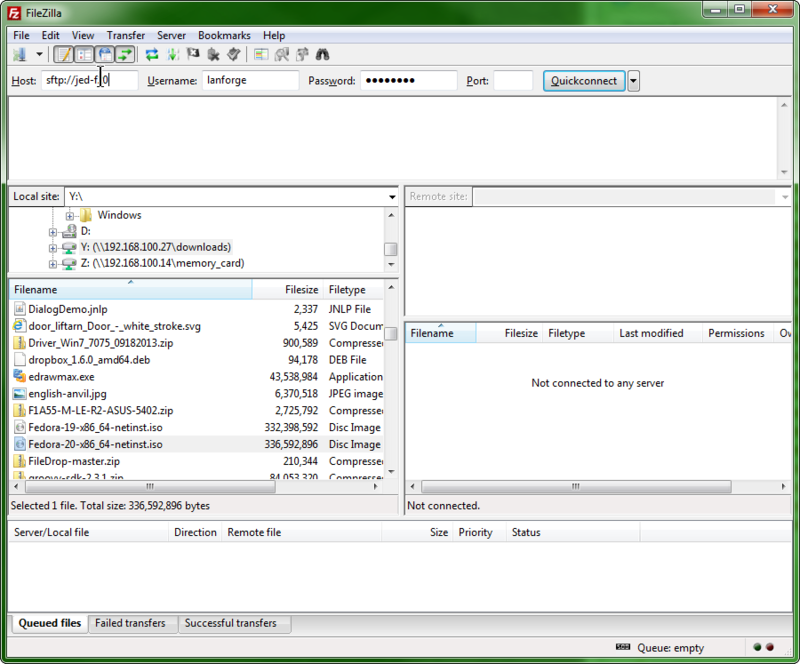 This will signal LANforge not to overwrite the file. Click the Cancel button to close the window if you are done. from Resource (jed-f20) port rd0b. Let's make ten requests a second. Enter 6000 for URLs per 10m. This sets up all environment variables and paths to work with the binaries and libraries shipped with LANforge. 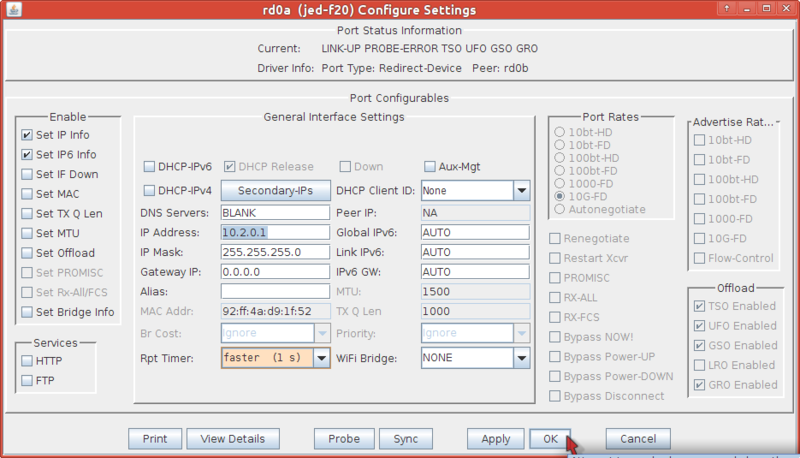 --dns_server, --dns_interface, --dns_ip4_addr, --dns_ip6_addr, --interface and --localaddr. We will use --interface next. [Advanced] Creating IPv6 traffic to nginx. We will assume a scenario where eth1 will serve nginx requests and eth2 will generate requests. and set the gateways for them to ee::2:fe. We won't actually use a gateway, but our port configuration requires it. Here is eth1, and we will enable the HTTP service as well. Here is eth2, notice how we added an IPv4 address to the port. Do that so that the Create Layer-4 dialog does not complain. 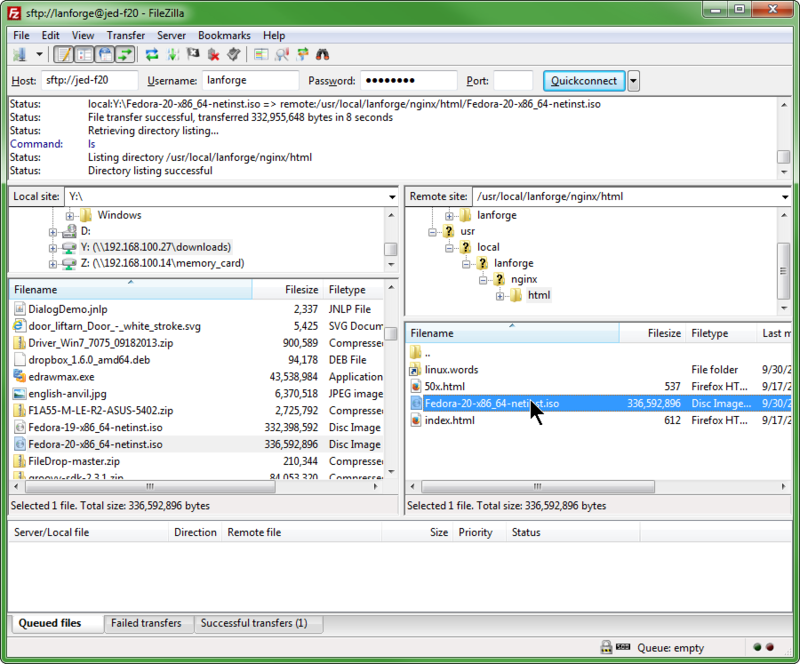 Here is a picture of the Port Mgr tab, with ports on two resources configured. Re-start the http service on eth1 by un-checking HTTP, clicking Apply, checking HTTP, clicking OK.
You can watch traffic on eth1 or eth2 to verify the web requests.